Has your organization thought about using infographics to visualize your story? Infographics, or information graphics, definitely get attention and can be a great way of graphically presenting information. When done right, infographics engage your audience and offer up fun, quick, visually appealing bites of information. Through effective images, graphs or charts, they can help viewers understand data or key messages you want to convey. And those that are well organized allow for rapid scanning so that viewers can focus on what interests them the most. When can you use infographics? 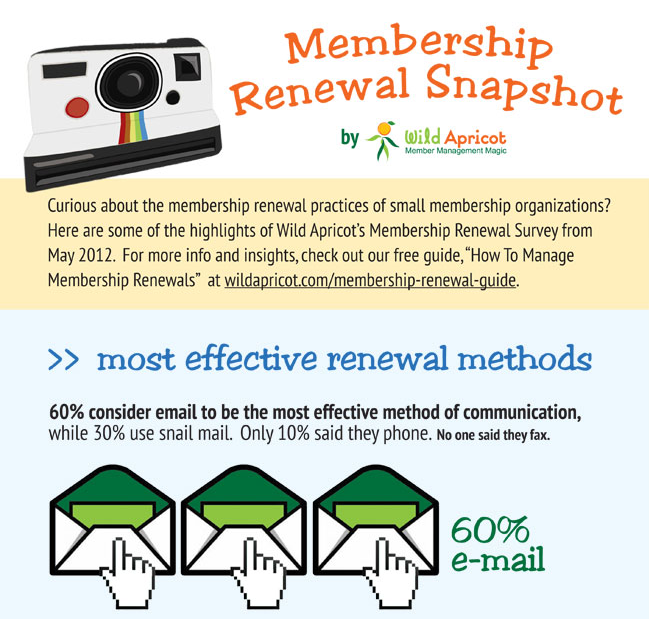 Illustrate survey highlights – here’s an example of how you can display the results of a survey - our infographic from our Membership Renewal Survey (click to enlarge). Graphically represent your organization’s history or a specific program or project. Make Your Own Infographic – Wild Apricot blog post by Rebecca Leaman: offers examples for inspiration as well as additional resources to help figure out what information you want to communicate, which data points to select, and how to present the numbers. Data Visualization and Infographics: Using Data to Tell Your Story – Guest post by Amadie Hart on Idealware: offers a list of Data Visualization and Infographic Creation tools. Infographic of Infographics - this infographic (shown above) by Ivan Cash, new media artist and designer - offers "a look at some of the visual devices, informational elements, and general trends found in the modern day infographic." 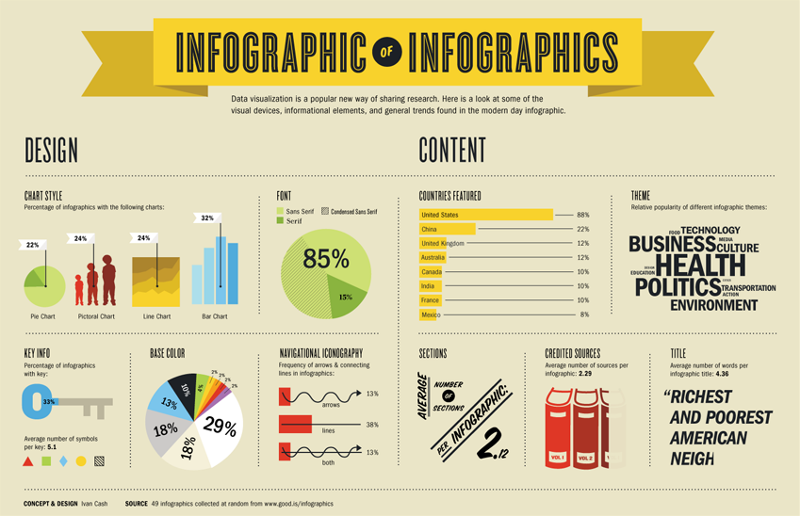 Has your organization created any infographics? We'd love to hear about them in the comments below. our organization has not created an infographic on its blog. Besides, as a startup organization we don't have the capacity of doing so. A help is needed.